Perched atop high ground just second from the ocean in North Beach rests this epic beach house custom designed and built by Ziman Development. 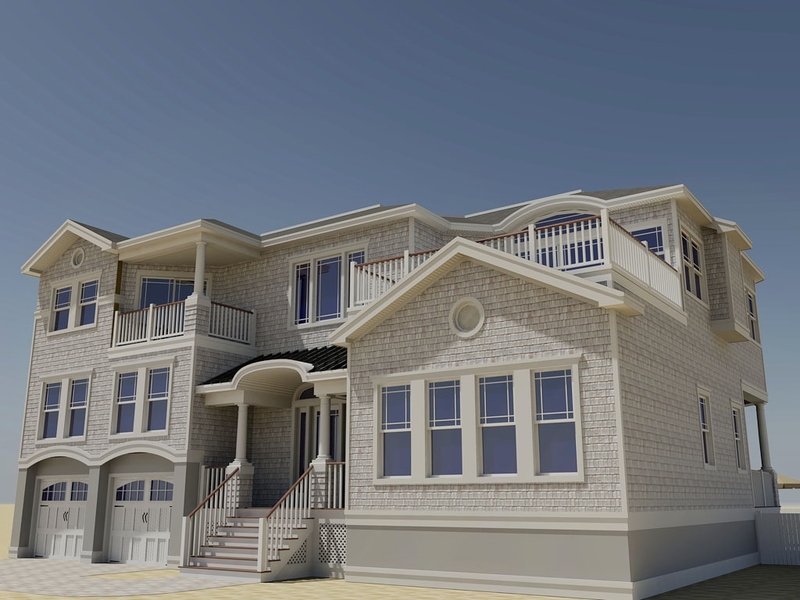 With its savvy reversed-living layout, this new home captures views of LBI's famous sugar sand beach and the ever changing Atlantic. Paddle out on your kayak at sunrise for morning meditation with the dolphin as they play along side you. With 6 bedrooms (4 en suite), 5.5 bathrooms, 2 living rooms, ample deck space including skydeck for star gazing, and an elaborate back yard with beautiful stone pavers, gardens, and grille area with fire pit. Custom cabinetry, granite and marble surfaces, soaking tub, and fabulous hardwood flooring completes the package. All you need are the kayaks. AS CONSIDERATION, SELLER REMOVED POOL FROM LANDSCAPING PLAN AND RECEIVED A CREDIT WHICH IS REFLECTED IN PURCHASE PRICE.